or get fit in an fabulously fun way! 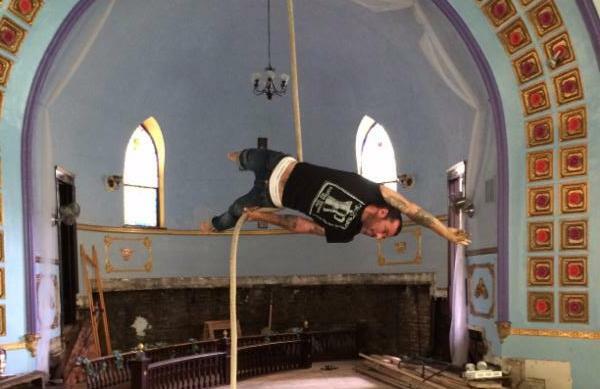 Classes begin for all ages September 6 at 3324 W. Wrightwood, Chicago, IL in trapeze, aerial silks, pole, trampoline, hand-balancing, clowning, acrobatics, and more, including circus-based fitness classes. Aloft will offer 90-minute taster classes ($10) from August 29-Sept 4, giving people an opportunity to try out different classes before they enroll in an eight-week session. Taster classes are for students 18 years and older. Children will be permitted to take a free test class during our regularly scheduled class sessions. For more info, check out www.aloftloft.com.